Half of the employees that quit their jobs quit because of their boss. A bad boss is the single biggest reason for disengagement and low performance in an organization. This is why it’s important to make sure that you have great bosses that are leading the pack and making everyone around them better on a daily basis. 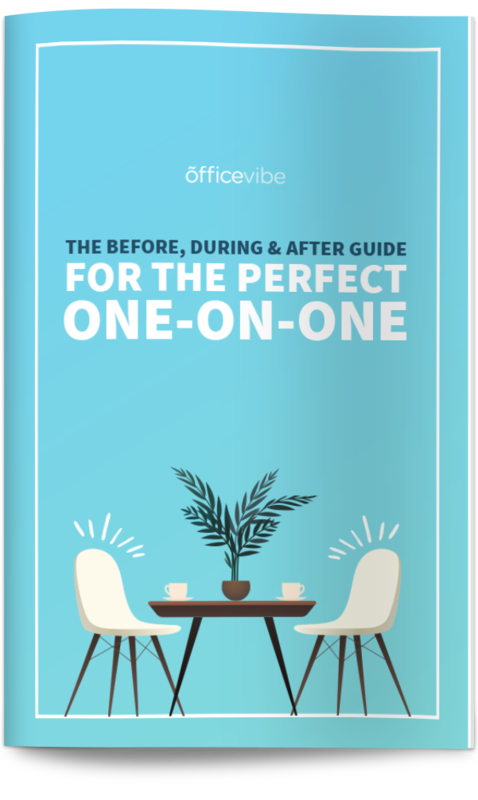 Have the perfect one-on-one with our complete, free Before, During & After Guide – printable template included. <a href=”https://www.officevibe.com/blog/infographic-great-boss”><img src=”https://assets.officevibe.com/infographics/infographic-traits-of-a-great-boss.png” data-no-lazy=”1″ alt=”Traits Of A Great Boss” width=”600px” border=”0″ /></a>This infographic was crafted with love by Officevibe, the software that helps collect feedback from your employees to understand the <a href=”https://www.officevibe.com/blog/infographic-great-boss” rel=”nofollow”>traits of a great boss and what they want from a leader. Understand the power of positive psychology, look at every situation as a learning opportunity. No matter what the situation or what type of rough waters you and your organization may enter, remember, if you have a good leader that is an optimist, it makes it a lot easier to work. Believe me, the last thing that you’d like is for someone to constantly be on your case and give you a lot of negative energy. The easiest way to build this trait is to do positive self-talk each morning. It could be something as simple as repeating a few positive messages to yourself in front of the mirror while you’re getting ready for work. We have a negativity bias, meaning we’re prone to focusing on the negative in our lives. Do whatever you can to make each day a positive one. It’s important to be transparent and honest with employees. Great bosses possess the leadership skills to appropriately tell people the truth, whether it’s good or bad. Transparency is a hard thing to find in the old-school, traditional workplace, but it’s a growing trend within forward-thinking companies that believe in the flat hierarchy. Knowledge is power. Why not empower your employees with as much knowledge as possible? This is easier said than done, but you need to make yourself vulnerable. Try small, by admitting a tiny mistake you made or something you forgot to do, and you’ll see how employees will start to respect you more. Another thing you could do is involve other people in team decisions so that they feel included and like their opinion counts. It’s really bad for a boss to just hand assignments to people without any order or organization. What you’ll see from great bosses is that they’ll delegate the work appropriately, as they know their employees’ strengths and weaknesses. They also resist the urge to micromanage and give the employees autonomy so they can easily do their task. Again, easier said than done, but you need to trust your employees. Remember that you hired them for a reason. This article about how to hold employees accountable without micromanaging them should help you. So many problems in an organization are the result of lack of communication, which underline how important it is to improve your communication skills. A great leader knows when to talk, but more importantly, when to not talk. They also know how to speak to employees and clear up any sort of problems that might exist within the office. It’s also important to recognize this skill as being both verbal & nonverbal in nature. Understanding this fact and correctly using both elements will have an incredible impact on how you express yourself. Be careful though: if not used correctly, it might have the opposite effect and you could end up sending mixed messages. Be mindful of the words you use. It’s also important to adapt your communication style based on the personality of an employee. Some employees like to communicate by email, some would rather do it in person, some are more sensitive than others. Try to figure out what the style of each employee is and adjust. You can always ask them what they prefer during a one-on-one meeting. The fact of the matter is that great leaders know how to inspire. Sometimes, they don’t even know it. However, what makes them a great boss is the fact that when there’s a big moment, they know how to react to it and how to make the people around them react to it. If there’s a high pressure situation, the last thing you would want to deal with is someone who would look at it frivolously and not be able to motivate others. Build resiliency. During stressful situations, employees will be looking to you to keep your cool, which is tough to do. The opposite of stress is resilience, so if you can learn to make stress your friend you’ll be able to inspire your team better. Keep the entire team focused, and aligned towards one long term goal. It’s important to make sure that everyone knows why they are doing certain tasks and what is the result that can come from doing it. Make sure that your employees are engaged and that they are aligned in terms of knowing the vision and goals of the organization. Setting clear, realistic, actionable goals for your team is one of the most important parts of your job, and can be tough to not only set the goals, but align everyone around them. This isn’t just one of the traits of a great boss this is also a trait of a great company. Allowing employees to have balance between their work and their life allows them to be at peace and it lets them know that they’re more than just an employee, but a valuable person within their company. Take work-life balance seriously. This is by far the biggest issue that employees struggle with, and they need you to set a good example. Be a good role model. Practice work-life balance yourself. Encourage employees to take time to relax and not overwork. Keep reminding them that work-life balance is important. We know a thing or two about employee recognition over here. As a leader, it’s really important to make sure that employees are getting the respect that they deserve. So make sure to give out credit when it’s due and make sure to recognize employees. Remember, a pat on the back goes a long way. Work hard to create a culture of recognition where not only are you giving praise to employees, but employees are giving praise to each other (it means more when it comes from coworkers). Make it public too, everyone needs to see the praise. We have a Slack channel called “Kudos” where we publicly praise each other, it’s a nice way to create happiness at work. Growth can come in many ways. We often talk about failing fast within our posts and guest posts. The reason why is because it encourages personal growth and it ensures employees that they have the ability to learn from mistakes, rather than fear making them. Personal growth is, in my opinion, the most important part of employee engagement. Once your growth goes, you get bored, and you stop caring. Invest in your employees’ growth. Give them the training and teaching they need, and learn to develop a growth mindset. Failure and experimentation shouldn’t be punished, but should be looked at as learning opportunities. Show your appreciation, even for the small things that your employees do. A little praise can go a long way. Don’t hesitate to give them shout outs and let them know that they’re doing the right thing. The ability to effectively praise people is the ultimate leadership skill and it will help the employees around you grow better and more confidently. Celebrate small wins. Don’t underestimate the power of a simple kudos here and there, even if it might seem small to you. One simple idea could be to start your meetings with a quick kudos with something simple, or a “weekly win”. Something small, but frequent. If you’d like to be a great boss a major part of your skill set will have to be a mentor. Being someone’s doesn’t have anything to with age, experience, or even their position. If you’re able to help them excel at something, your duty is to lead them in the right direction and make sure that they’re as good as you, and if possible, better! Let employees know that they can come see you anytime they need to speak. Give your time to employees. I know this easier said than done because you have a ton of your own work to do, but investing in your employees will pay itself back in the long term. Sure, sometimes a manager/boss will be a lot closer with a group of people. However, a great boss respects the workplace and knows that everyone needs to be treated fairly and equally. Especially when conflicts arise. Don’t make the workplace an oligarchy and make sure that it’s a fair game for anyone to leave a big imprint within the company. Try to be as inclusive as possible. Invite everyone out to the dinner you’re organizing, or don’t always call on the same people in meetings. Be mindful that no one should feel like they’re ignored or left out. The habits you create daily shape how you live your life. If you want your team to be productive, energetic, and happy they need to do things each day to get them consistently feeling like that. You can help them build habits by supporting them and enabling them to do things that will have a positive impact on their lives. Start by building good habits yourself. Set personal goals, and do something each day to help you build those habits into your life. Once you get good at it, share your secrets with your employees to get them to build better habits too. What Do You Think Of The 13 Traits Of A Great Boss? Are there any other traits or leadership skills that we might’ve missed or you find could be added on? Let us know your thoughts in the comments below!